“The conclusion, therefore, is, that any government, that can, for a day, enforce its own laws, without appealing to the people, (or to a tribunal fairly representing the people,) for their consent, is, in theory, an absolute government, irresponsible to the people, and can perpetuate its power at pleasure. “It will be asked, Of what use are the justices, if the jurors judge both of law and fact? “[The following objection will be made:] it is a maxim of the law, that the judges respond to the question of law, and juries only to the question of fact. “To secure this right of the people to judge of their own liberties against the government, the jurors are taken, (or must be, to make them lawful jurors,) from the body of the people, by lot, or by some process that precludes any previous knowledge, choice, or selection of them, on the part of the government. This is done to prevent the government’s constituting a jury of its own partisans or friends; in other words, to prevent the government’s packing a jury, with a view to maintain its own laws, and accomplish its own purposes. Legislative juries of the kind I propose, are well suited for putting laws on a basis of informed consent of the people through juries. If what Spooner says in the above passages is correct, it is hard to see how it does not follow that having such legislative juries is far better than leaving lawmaking to politicians. Trial juries and legislative juries are of course quite different. One difference is that legislative juries, as I propose them, are larger than the 12 member criminal trial juries that exist in the U.S. and certain other countries. This is necessary and desirable so that legislative juries will be a reasonably accurate cross-section/microcosm of the people, and as such a good stand-in for the people as a whole. Another is that the legislative juries I propose decide by majority vote, unlike U.S. criminal trial juries. [ii] There is of course nothing unusual about deciding laws and various other matters by majority vote. For centuries legislatures have decided by majority vote, in Classical Athens the legislative juries, jury courts, Council and Assembly decided by majority vote, and Scottish trial juries, both criminal and civil, have for centuries decided by majority vote. [i] Regarding my proposal for legislative juries see my articles published on April 18, 2016; Winter 1998/99; December 16, 1998; Summer 1998. [ii] See here and here regarding the voting requirements for U.S. trial juries. Great post – thanks! I was not aware of Spooner. The principle that juries should rule according to their conscious and their view of what is just and right is an essential part of a democratic system. The idea that jurists should rule “according to the law” against their own best judgement is the product of an oligarchical, authoritarian, elitist mindset that suits the existing legal system well but should be rejected outright in a democratic system. Not only should juries acquit those whom they see as being victimized by unjust laws, but they should also be willing to indict, convict and punish those who carry out nefarious activities even if legalized by corrupt legislation. Government, elected or allotted, and its associates (big business, lobbyists, secret agencies, etc. ), should be aware that if they carry out nefarious activities (as judged by the population) they will not be protected from prosecution and punishment by merely legalizing those activities. Regrading Spooner’s critique of elections: he is critiquing one of the two arguments for elections: the rewards-based argument. (The other argument is the virtue-based argument.) His critique is valid, but bears elaboration. I offered a somewhat more lengthy discussion here. Trial juries are not adequate for achieving the purposes that Spooner eloquently suggests. If juries are really to protect the public from laws the public have not consented to, we will also need legislative juries. 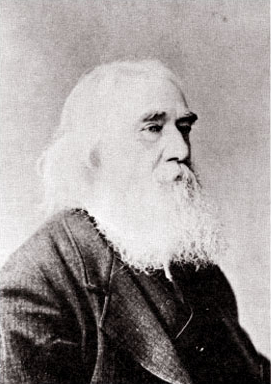 What trial juries can do to subject laws to the consent of the people is important, but it is very limited and inadequate, even if we were to have the kind of trial juries envisaged by Spooner that know and robustly exercise their nullification rights, and are not obstructed from doing so by judges and prosecutors. For example, trial juries have never had the power to decide who is charged and prosecuted, so all kinds of government and private wrongdoing just never comes before a trial jury because the government does not charge the culprits (a grand jury only gets a chance to indict if the prosecutor brings charges before it, and the politicians have put in place some law under which the culprits in question can be charged). There are a whole range of government activities that while not necessarily criminal can nevertheless adversely affect members of the public, everything from undemocratic election rules to failures to protect the public from polluted air and water to huge tax breaks for the rich to failure to take effective steps to prevent police violence and perjury to failure to protect net neutrality to government spying on the online and telephone activities of public, and much else. Unjust laws often continue without a trial jury ever having a chance to veto them, and no trial jury can veto the absence of laws needed to protect the rights and interests of the public. Even in criminal law when a charge is laid, in the U.S. (and it is similar elsewhere) charges with maximum penalties of less than six months in jail are not tried by juries. No consent of a jury is ever needed for those laws to be enforced against the public. Spooner observes of electoral democracy that “Even if a change for the better actually comes, it comes too late, because it comes only after more or less injustice has been irreparably done.” It is the same with jury trials. Even if the jury eventually acquits the accused after a trial, this may come only after the accused is arrested and locked up, has possibly spent months in pre-trial custody during which time they possibly lost their job, housing and children, or after the accused incurred a fortune in legal fees they could not afford, or had to beg friends or relatives to post bail, or was smeared and publicly disgraced as an accused criminal, and so on. It may be that a trial never comes because the accused opts for a plea bargain in order to avoid the risk of a long prison sentence, because they cannot afford the legal costs, or to end their pre-trial custody. It is also the case that getting a fair trial may only be possible for those who have a lot of money for lawyers and other costs, both regarding criminal defence, and also regarding civil litigation. John Kiriakou, a CIA torture whistleblower prosecuted under Obama after being cleared by investigators under Bush, never had a trial. No jury ever consented to the application of the Espionage Act to him. Instead he accepted a plea bargain and went to prison in order to avoid the risk of a 45 year prison sentence, and after his legal costs climbed over $1 million, an amount he could not afford. The risk of harsher sentences and high legal costs induce many to accept plea bargains, with no jury ever having a chance to nullify the law they are prosecuted under. Jury nullification only nullifies the application of a law to the case the jury decides. It does not veto or repeal the law itself. The government can still charge people under a law that a jury has nullified, and can even charge the same person who was acquitted with a new offense if they do it again, as happened to Canada’s Dr. Henry Morgentaler (https://en.wikipedia.org/wiki/Henry_Morgentaler#Judicial_battles). Anyway, not to belabour the point too much, but if juries are to be the kind of effective check and balance on government that Spooner suggests, trial juries are not enough. We will also need legislative juries that can veto laws before they are used to lay charges and do mischief, that can veto all laws rather than only those that may come before a jury in a criminal trial, and that can proactively pass laws to protect the rights, liberties and interests of the people from government and private power. Trial juries cannot even protect their nullification power from judges and politicians. Trial juries are never given a chance to veto the practice of concealing from trial juries their power to nullify, nor to prevent judges from screening out jurors that are likely to nullify. By contrast, legislative juries could protect jury nullification by repealing laws aimed at stopping or limiting it, and by passing laws to protect it. One more thing: In the NYT op-ed linked to Scalia is quoted as having said “I’m a big fan of the jury.” Really?! That’s a pretty ridiculous statement from someone who has been occupying a patently oligarchical position of power for decades. And how, pray, are we to know which activities are judged nefarious by “the population”, given that the activities have been legitimised by electorally-mandated public servants? Are you suggesting that 12 randomly-selected citizens are the population? Twelve is some two orders of magnitude short of a figure that would be considered statistically representative of the population. What if one group of 12 decided the activities were nefarious and another group didn’t? Note also that in the classical precedent, the prosecution was always made by another citizen, the jury being merely the judge between the two warring parties. *** If I understand well, Yoram Gat’s idea is the following : in a modern dêmokratia, repressive judiciary juries should be entitled to punish wrongdoers outside of any legal consideration, because the laws could be established by corrupt legislative juries (he writes “government, ellected or allotted”), and therefore legality could protect some kinds of wrongdoers. *** I doubt it would be easy, in a modern democracy-through-minipublics, to corrupt legislative juries ; and anyway, why repressive judiciary would be more protected from corruption ? why put judiciary repressive juries over legislative juries ? *** The principle of legality would not be unnecessary in a dêmokratia (ortho-democracy). Actually it would be specially useful because the democratic sovereignty, as any real sovereignty, is especially sensitive to emotional affects, and this potential defect is more easily balanced in legislative decisions, with good procedures as those of the Second Athenian Democracy, that in repressive trials following facts with high emotional effects. •	it would give to the enemies of democracy a supply of spectacular examples of excessive decisions under emotional drive, useful to discredit the democratic sovereignty. Seeing the people’s judgement as “repressive” and “arbitrary”, “emotional” rather than rational, and reflecting a “principle of no-legality”, is standard elitist dogma. We’ve been fed this dogma all our lives, and society has been bombarded with associated propaganda for thousands of years. It is thus not surprising to see this dogma thoroughly absorbed and defended even by people with democratic leanings. In fact, however, the opposite is true: a framework which is imposed on people despite it being contrary to their judgement of what is just and right is what is really repressive, arbitrary, and anti-legal. In a democracy, a legal system is used to achieve a commonly agreed set of rules of activity, not impose such a set of rules on a dissenting population. Thus the laws should provide guidelines for the citizens for what is acceptable activity – both when they go about their activities and when the serve on a jury. However, the laws do not set what is right but the other way around – they should reflect what is right. The notion that running a society according to unjust laws increases “citizen trust” is absurd – again, the opposite is true. >The principle of legality would not be unnecessary in a dêmokratia. . . good procedures as those of the Second Athenian Democracy. Agreed. Many historians view the second democracy as characterised by the rule of law, as opposed to the rule of the demos. To Sealey it was the Athenian republic, and Ostwald’s book describes the transition from popular sovereignty to the sovereignty of law. It’s interesting to hear from Yoram that even a radical freethinker like yourself is a victim of false consciousness on account of being brainwashed by thousands of years of propaganda. That is certainly not the impression that I have received from reading your thoughtful and challenging posts. *** I never said that the people’s judgment was more “repressive”, “arbitrary”, or “emotional” than the judgment of a king or a ruling elite. Differences between their behaviors may come from different upbringings, but there is no general reason for such an assessment, which I never issued. I said that ” the democratic sovereignty, as any real sovereignty, is especially sensitive to emotional affects” – “as any real sovereignty” compares with the sovereignty of an absolute king or a ruling aristocratic elite, it is a systemic point. *** I was specifically speaking of the situation of any true sovereign – whose power is clear and direct – who reacts to a behavior he sees as a wrongdoing with very bad consequences. The existing legislation will usually allow repressive action, but sometimes not as strong or swift as the sovereign will prefer. There is a temptation for the sovereign to think « I decide the laws. Therefore I am over the laws. Therefore in this specific case I will decide out of the laws ». That clearly opens the way to over-emotional repressive decisions – for an absolute king, for a ruling aristocratic elite, or for a sovereign people. And such decisions will be used in the discourses against the sovereignty. In systems without definite sovereign, over-emotional decisions may occur, but usually less often, and anyway they are less easily used against the political system. In polyarchies, political processes, including judiciary processes, are complex, long and obscure – which allows for the influence of the various lobbies ; but we must acknowledge that complex, long and obscure processes are often less sensitive to the risk of punctual over-emotionality ; and at least of its appearance. *** In polyarchies the principle of legality is used, together with “appropriately” devised laws, to cover the political processes. But (ortho-)democrats must not drop the legality principle; the aim is to change the legislation, to give the legislating power to the dêmos. *** I don’t say we must copy the Athenian institutions in the time of Demosthenes – if only we must use the modern technology which will allow multiple choices decisions instead of only binary ones. But this ancient model shows us the way of a popular democracy through citizen juries and a strong assessment of the legality principle. *** I don’t think it is a good way of describing the change of Athenian system during the 4th century. Yes, there was a strong assertion of the principle of legality – but with laws issued and reviewed by citizen juries (and enforced through judiciary citizen juries). It seems strange to describe such a system in other words that « popular sovereignty ». More generally, it is intellectually bad to speak about « sovereignty of the law » – « the law » is not a person, therefore cannot be a sovereign. Such wording is confusing. *** Yoram Gat did read too quickly my comment when he thought I was following what he calls a “dogma”: « the people’s judgment as “repressive” and “arbitrary”, “emotional” rather than rational. » But he is right when he sees here a strong anti-democrat ideologeme, which, more than a clearly defined dogma, is the blending of different assertions, that we must consider separately. *** Assertion 1. The common citizens as more emotional and less rational than the elites ; without much evidence if we consider the 20th century European history. *** Assertion 2. Mass political behavior is specifically sensitive to emotional effects and less prone to rational discourses; that has some truth – but it is much more relevant to “electoral representative democracy” than to a “democracy-through minipublics”. *** Assertion 3. Any democratic sovereignty is akin to mob phenomena – in the line of Gustave Le Bon; whereas a mob usually is not statistically representative, and mob mental phenomena are different from the mass mental phenomena, and quite different from the mental phenomena of a citizen jury. *** Assertion 4. The democratic sovereignty is especially sensitive to emotional affects. This is right for any real sovereignty, and a democratic system must be built to take into account this risk, as the Athenians did in the 4th century. We must only try to be better, taking advantage of the modern technology. *** Yoram Gat uses the word “dogma” for the inculcated antidemocrat ideologemes. But this wording has drawbacks. The religious orthodoxies wanted to inculcate their metaphysical assertions, but likewise wanted to define them as precisely than possible (even if the specific field did not allow it convincingly). Most of the polyarchic “dogmas” are actually confuse, and their supporters avoid usually any clarification. It’s not just Sealey and Ostwald, Hansen insists that the aim of the fourth-century reforms was to restore the “ancestral constitution” under which hoi nomon have kyrios. The Athenians sought a period of stability and to obviate a return to the political crises and military catastrophes on the Peloponnesian Wars. Agree that that it is the jurors in the dikasteria who are ultimately kirioi panton, but the fourth-century reforms look like a way of making it as hard as possible to change the laws (a total of seven stages being involved). Demosthenes praised the Lokrians, who changed only one law in 200 years, so the ideal appeared to be that the existing law was sacrosanct (sic). >it is intellectually bad to speak about « sovereignty of the law » – « the law » is not a person, therefore cannot be a sovereign. Strictly speaking that’s true, but you could view it as a conservative and Burkean attempt to establish a stable compact between the past, present and future. Remember that the Athenians liked to attribute all laws to Solon, rather than the random individuals selected by the lottery machine on a given day. I guess it took a hard-headed political scientist like Aristotle to see through the myth and that’s why he categorised jury democracy as radical in nature. Keith Sutherland’s points are at least partly different. *** The Athenian society, even if appeared specially dynamic to the other Greek societies, and even if it was actually more dynamic, was an ancient society, and belonged to the World of Tradition. This valuing of the past as reference helped to an amount of suspicion towards any new legislation. And when « Demosthenes praised the Lokrians, who changed only one law in 200 years » ( Against Timocrates §139-143), he was making the most of this feeling, for his specific aim. But such a mental bias against new legislation, which can be understood in the World of Tradition, which we can find in Rousseau, is something different from the political problem : if a new rule is needed, who will have the last word about it ? And never was the body of laws immune of proposal of changes. If the dêmos accepted a change, it could be completed. If Demosthenes needed long time before getting the change of the « theôrikon » law, it was basically because that this law was a basic element of the « welfare state » established by the Second Athenian Democracy. *** The ancient Greece had a mythical view of the past, much more than historical. Yes, the Athenians « liked to attribute all laws to Solon », because Solon was a mythical hero of the past (he got mythical status probably from the convergence of his historical action and his poetic legacy). And the basic democratic institutions, including sortition, could be said to have been set by Theseus in the heroic age ! Mythical references could be used in politically very different discourses. *** Probably, yes, there was in 4th century Athens a yearning for stability. But this yearning led to reforms which, rather than preventing the dêmos from new legislation, organized rational procedures and asserted the « principle of legality ». When Hyperides speaks about « kyrioi nomoi », in his speech « In defense of Euxenippus », §5, he is not saying that sacrosanct nomoi are over the popular sovereignty, he reminds the jurors of a repressive court that they have to follow the law. He was actually protesting against the intended use of the procedure of eisangelia, concerning high treason, for acts outside of its scope. Hyperides, a democrat, was asserting the principle of legality, not at all putting the legal code as immune to popular sovereignty. The law about eisangelia could be modified (and actually had been modified). *** Dêmokratia implies that, if a new rule is needed, or supposed to be needed, the last word will be the sovereign People’s. Opposing « conservative sensitivity » and dêmokratia would imply that ordinary citizens are eager to change any rule and institution, whereas the wise elites prefer « a stable compact between the past, present and future ». As a general idea, it is very doubtful. I’m with Burke (and the Lokrians! ), but I don’t have any confidence in the “wise elites” who are, if anything, more inclined to meddle and interfere in people’s lives — witness the popular revolt agains the EU. And I do agree with you earlier response to Yoram regarding the rule of law rather than the whim of a group of randomly-selected individuals. The 4th-century legislative process had seven stages and we need something similar.